5 Dream-Team Grammy Collaborations We'd Love To See Sunday Night : World Cafe Drawn from this year's list of nominees, these are the live performances we'd program if we were in charge of Sunday night's award show. Childish Gambino with Sylvan Esso? Who says no? The 60th annual Grammy Awards takes place Sunday night. Billed as "music's biggest night," the evening recognizes achievement, yet always promises incredible live performances to draw in the viewers (and boost the ratings). This year, CBS and The National Academy of Recording Arts and Sciences are counting on big numbers from big names: Kendrick Lamar, Sam Smith, U2, Pink, Rihanna, and Bruno Mars and Cardi B. (See the whole list of scheduled performers here.) While we're excited to see them, we took a moment to ask ourselves what the dream evening would look like if we could program the Grammy on-air performances. Drawing from every one of the nominees, here are the blue-sky collaborations we'd love to see Sunday night. This musical mashup is near and dear to our hearts, especially given the Philadelphia connection (where we produce World Cafe everyday). Philly native jazz bassist Christian McBride is nominated for Best Large Jazz Ensemble Album for Bringin' It (which it does), and Lil Uzi is nominated for Best New Artist. The two could combine to support Migos (up for Best Rap Performance) for a big band arrangement of "Bad and Boujee." Can we make this happen, please? This has roots music throw-down written all over it. Guitarist Robert Cray & Hi Rhythm as well as Robert Randolph are nominated for Best Contemporary Blues Album. Louisiana's Lost Bayou Ramblers, who draw on classic Cajun with punk rock energy, are nominated for Best Regional Roots Music Album, for Kalenda. Imagine Cray, one of the greatest living blues guitarists, trading trading riffs and solos with pedal steel guitar player Robert Randolph. It would have the potential to be a spiritually uplifting performance. Add the Lost Bayou Ramblers into the mix and you might as well call it church. Watch Cray & Hi Rhythm perform "I'm With You" during a visit to World Cafe below. 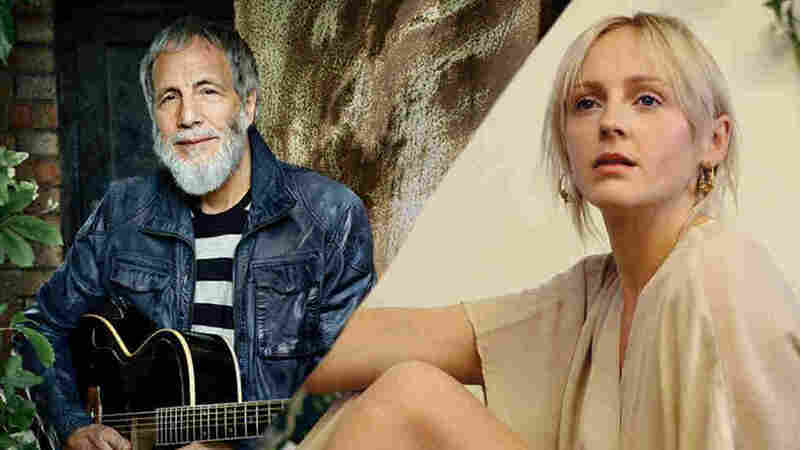 Legendary singer-songwriter Yusuf/Cat Stevens and British singer-songwriter Laura Marling are two of the five nominees for Best Folk Album. We imagine Yusuf/Cat Stevens dueting with Marling on one of his classics like "Moonshadow," or "Wild World." Marling would then cut to "Wildfire" from her nominated album, Semper Femina, tying together six decades of singer-songwriter tradition. Marling visited World Cafe last year. Listen to the session below. Imagine what the James Murphy's electro-funk jams would sound like if they were seamlessly blended with the cumbia of Colombia's Bomba Estéreo. LCD Soundsystem is nominated for Best Dance Recording for "tonite" from its recent album, American Dream. Bomba Estéreo is nominated for Best Latin Rock, Urban, or Alternative Album for Ayo. How about they collaborate on David Bowie's "Fame"? Or Harry Nilsson's "Jump Into The Fire" (once covered by LCD)? Now that would be a happening performance.